There are 16 posts tagged customer (this is page 1 of 4). 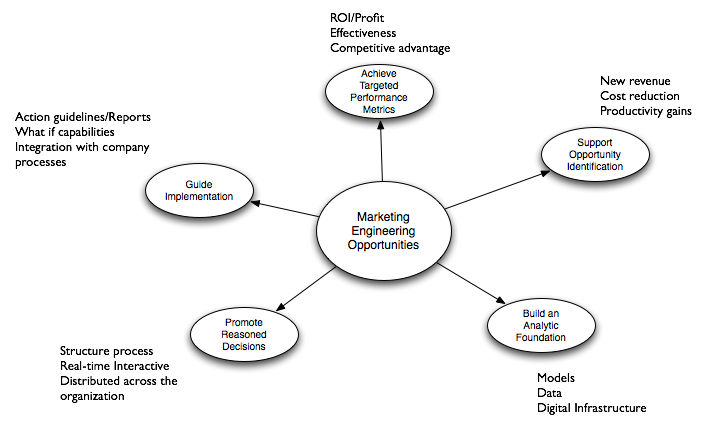 Marketing Engineering: A systematic approach to harness data and knowledge to drive effective marketing decision making and implementation through a technology-enabled and model-supported decision process. Field value-in-use assessment (economic benefit): Not only marginal costs but initial investment, etc. form segments (cluster analysis): are they clear and robust? Share of preference rule: often, cheap, etc. For [target segment], the [offering] is [positioning claim], because [single most important support]. I really liked Principles of Marketing Engineering. 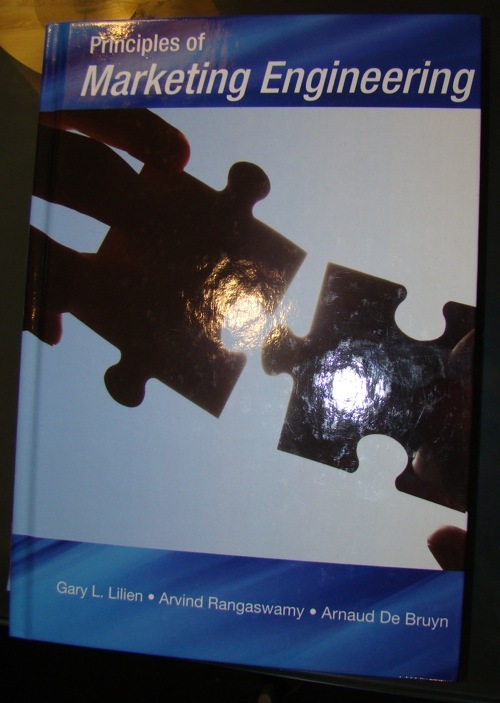 The book gives a great overview over the topic and different approaches. 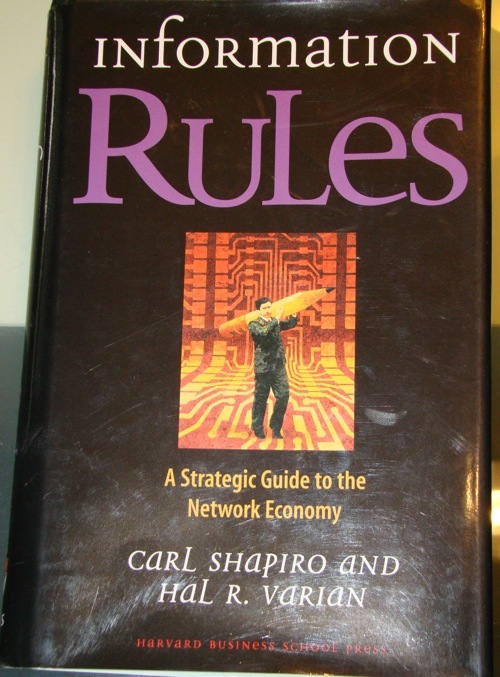 It’s written like a textbook, so it can be a bit lengthy in parts but otherwise, a nice book. You collected data from your customer and then? Arthur M. Hughes explains how to analyze customer data and use it in the decision making process. Recency, Frequency, Monetary: The easiest metric is RFM. You divide each customer in one of many groups and test your offering/ad/etc. on a small subset. Let’s say you got 10000 customers. Now you are going to sort them by recency, e.g. latest sales, and split them up in 10 groups. Do the same thing for frequency and monetary. Now every customer got a recency group, a frequency group and a monetary group. Now comes the beauty. 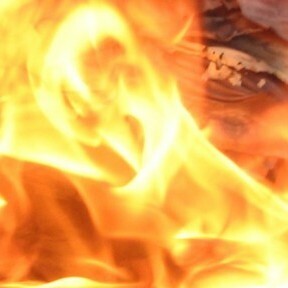 You just test your offering to a subset (e.g. 10% of each group) and notice how much each group spend. Finally, you can see which groups were the most profitable and just send them the final offering. Know what you want to do: It’s essential. Hughes wrote that companies often just collect tons of data without a purpose. Data alone won’t help you. Spare your time and resources and define at first what you want to achieve and then start collecting data. Customer Lifetime Value: I explained the concept early, however the RFM approach makes this more interesting because you can now easily test the impact on small groups. 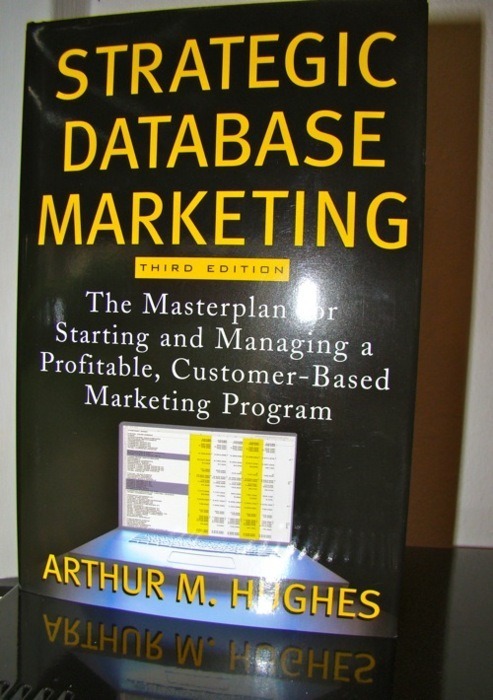 Strategic Database Marketing is a pretty good book. It got lots of examples and the author explains each approach in detail. I especially like the RFM approach because it is so easy but works well. If you want to learn more about analyzing customer data this book is for you.